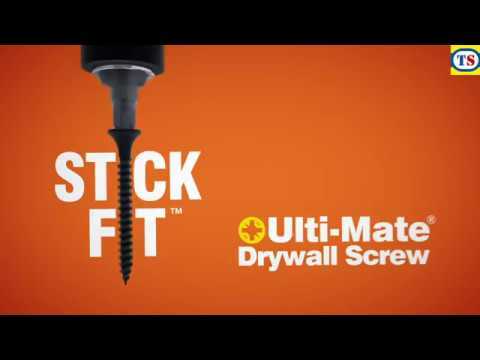 Ulti-Mate II Stick-Fit Bugle Head Drywall Screw Black Phosphate 3.50 x 25mm (1000 Pack) is rated 4.3 out of 5 by 9. Rated 4 out of 5 by JoeLou from Good plasterboard screws I like the good fit of the ulti-mate screw head and their driver bit (pozi bits also work too). The photo is incorrect as the driver bit included were two short bits and not the single long one. 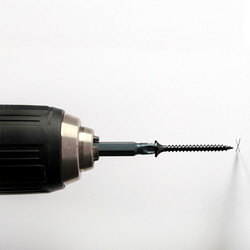 Toolstation would benefit if their search term also included the word "plasterboard screws" and not just drywall. The product comes up on a google search but not the TS website. 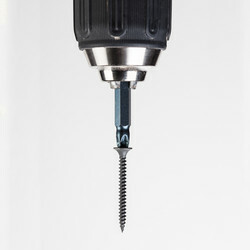 Rated 5 out of 5 by Ricco from Quality item - better than the no-brand ones These are my go-to drywall screws. The no-brand ones are OK, but these are much better, and you don't pay much more. Straight, true, strong, and no little metal splinters. 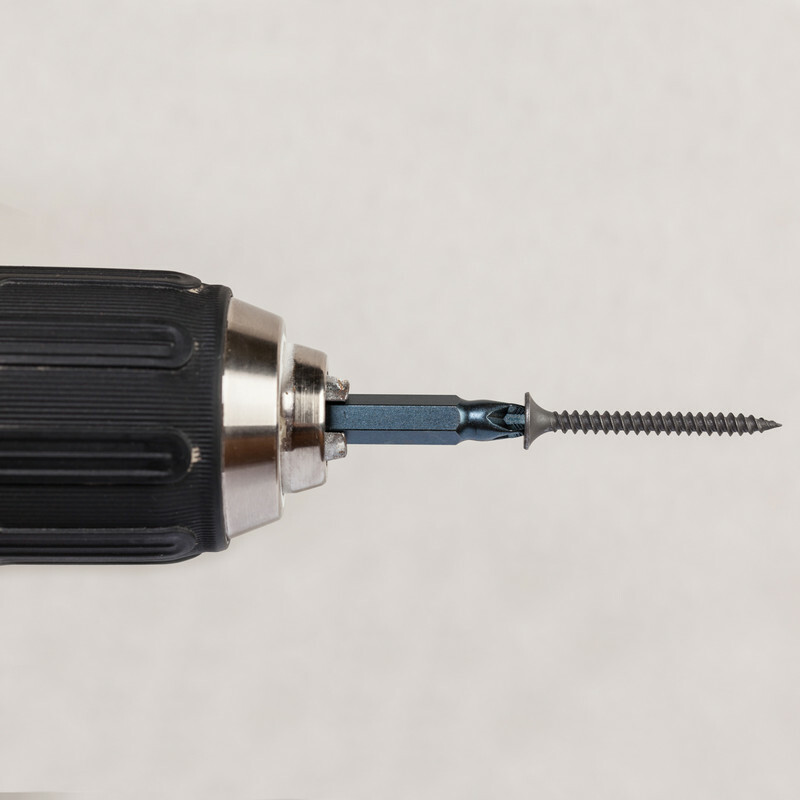 The supplied screwdriver bit is fine (it is in there somewhere - it's a black bit amongst lots of black screws, in its own little bag) - the screws fit onto the bit and stay there, so you can screw them in one-handed. 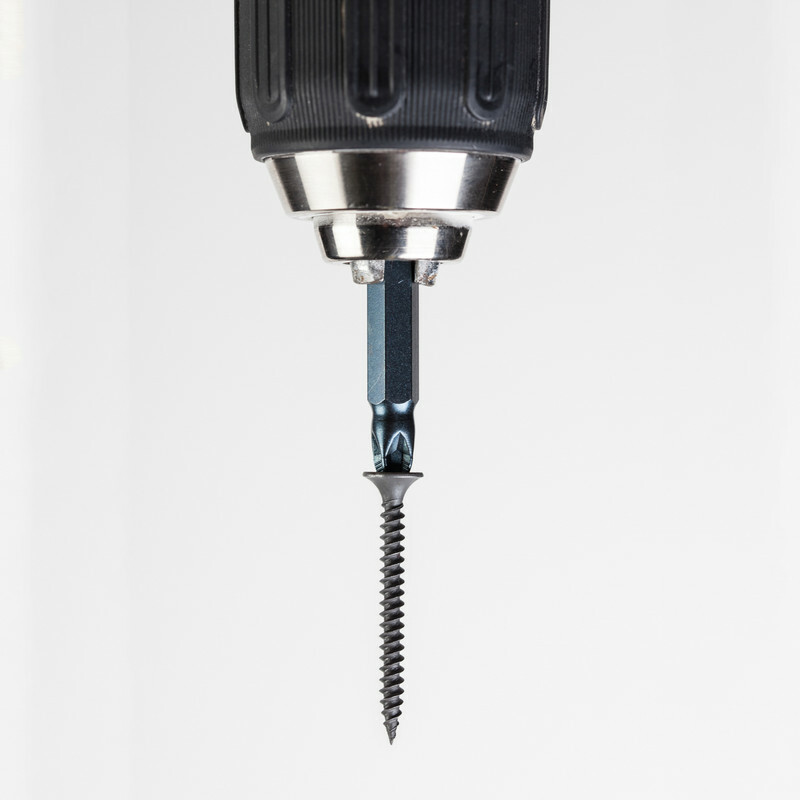 Note that the heads are Philips, not pozi - this means the screws stick onto the bit, but it means that there is zero latitude for your drill not being exactly on-axis with the screw. And always a very small difference between getting them just tight enough so that the heads are just below flush, but not so tight that they break through the paper of the plasterboard, but that seems to be more a function of the board than the screw. Recommended. 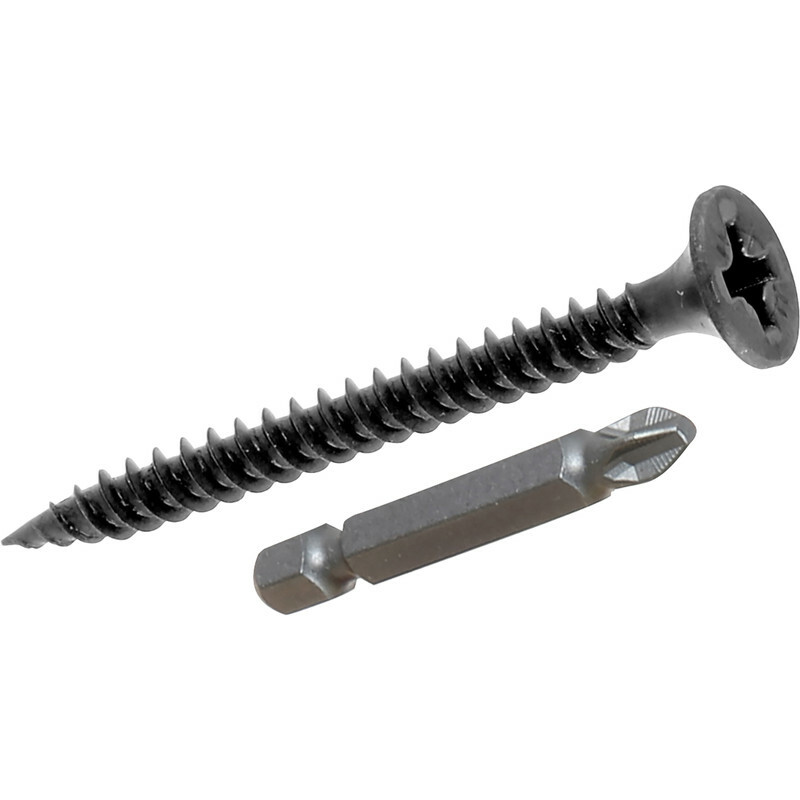 Rated 5 out of 5 by dj_judas21 from Easy to use plasterboard screws I used these for affixing plasterboard to wooden studwork to build a partition wall. They were very easy to drive in with a poor 3.6V screwdriver without pilot holes, and the heads countersunk themselves into the plasterboard just enough without damaging it, provided you don't go too close to the edge.